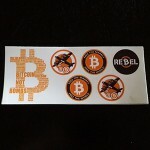 Assorted Bitcoin accepted here sticker set. 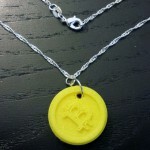 New Bitcoin “B” Logo. 4″ x 9″ sheet. 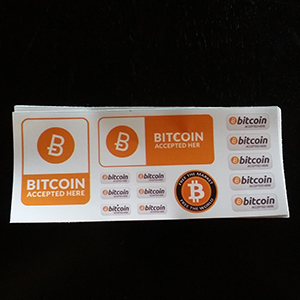 Great for cutting apart and placing all over your bitcoin accepting shop. Contact us for custom Stickers. In door or out door use, Quality vinyl stickers. Contact us for custom Stickers.